I just wanted to send a quick thanks for the webinar today. It will certainly change how I communicate with my customers. Most of the time I think I do fine, but I did learn a thing or 2 today. I'll be sharing my new found knowledge with my co-workers. 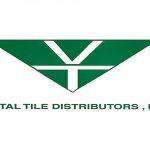 Rich Doud, Vestal Tile Distributors Inc.
Great, great, great! Good humor and great insight into human nature. Super energy, kept you excited throughout the presentation. The three hours flew by. Thank you for your presentation, “How to grow your convenience store business.” It was upbeat, informative and paramount to our corps of entrepreneurs. I am so glad that your new audio book on , “Brain Snacks” was also a success with our group. I look forward to working with you in the future. Lisbeth had a great sense of humor and it helps keep everyone interested. She has extensive knowledge and has a knack of explaining it in a way that everyone understands. In City government it is essential to take the residents point of view into consideration. Lisbeth’s vast experience in workplace training of all kinds made her an ideal candidate to introduce employee training specific to customer relations with our Corporation Counsel staff. Her workshop was very well received and I hope to continue to utilize her services within other city departments. It is important to understand that when residents contact the Corporation Counsel Office, their expectation of resolution may be unrealistic yet their issue is personal to them. Lisbeth’s workshop was beneficial to my staff and she recognizes the importance of treating everyone with respect and giving the most helpful information available. My office is now reaping the positive impact of Lisbeth’s training. Over the years we have brought many different trainers in and none of them had the impact Lisbeth did on my staff. Lisbeth's high energy and selling strategy were exactly what we needed and at just the right time in our company's growth. Even my veteran staff walked away with ideas to improve their "store within a store"! I look forward to working with Lisbeth in the future as HOM Furniture takes the next step in its evolution. We Really Enjoyed Her High Level Of Engagement! Lis was the keynote speaker at our annual user conference, and her presentation was very well received. Our attendees really enjoyed her high level of engagement. Her topics were relevant and her conclusions were both useful and, often, surprising. We highly recommend her as a great speaker who will always make people think more about what will and won’t work in retail! Lisbeth Hits Points That Others Miss! Lis has highlighted one of the largest shortcomings in most businesses today. That is taking care of your old and present customers. After all, they have gotten you where you are and will take you where you are going. I am thrilled to have been a part of many of Lisbeth's presentations. Every I listen to her the content is always different and relevant, market trends up to date and delivered with extraordinary high energy. The information I have gained from Lisbeth over the past years have proved to be invaluable in my business and my life.I am impressed with her subject knowledge as well as her presentation skills. I look forward to having my business attend more of her seminars. I got the pleasure of attending a seminar for Mohawk featuring Lisbeth, she is bright, funny, refreshing and very knowledgeable. Hands down the most informative 2 days that I have had in a long time, if ever! I am already looking forward to getting more time with her, as she is a cornucopia of information and knowledge. Her life experiences come through as she relives stories and related solutions with you. Can't wait for more! Thanks again for the pleasure of having met you! Thank you for the presentation at the Crossville retail event. Your ideas have definitely had an impact on our way of thinking about how we will approach and implement ideas to increase traffic to our showroom on a consistent basis. We enjoyed your presentation and I just wanted to take a moment to thank you for the effort and time you put into making it interesting and relevant in todays market. Lisabeth inspired me to not only perform better in the business I was already in, but to also then create a business of my own. Her energy is infectious, her content is cutting edge, and she is genuinely brimming full of conviction and care for both you and your business. I now run a design and construction group that can't expand fast enough to meet our customer's demands! I can't recommend her highly enough. Lisbeth’s energy and creativity help companies to think outside the box based on her well-conceived strategies to improve customer service and client relations. She has a unique ability to analyze and evaluate expectations and guide companies to new standards of excellence. Her insights will add value to your company! We Will Have You Back For Refresher Sessions Next Year! Thanks again for sharing your talent with us. I personally have found you training beneficial and constantly refer to your presentation when speaking with and training the staff. Your points are easy to recall and easy to implement in everyday situations. We haven't met, but I write the Marketing Mastery column for FCN. I really enjoy reading your columns; great information! The message in your column "Engaging Employees Translates Into Money" is something every retailer needs to hear. I especially liked your emphasis on treating customers like gold. The amount of mediocre customer service and sheer indifference to customers by employees is jaw-dropping. Not just in flooring retail, but every industry. I found it interesting (but not surprising) that a floor dealer you know doesn't want to do follow up calls after the installation because he doesn't want to hear the complaints. Your response was right on target, and exactly what I preach to dealers I work with. Nicely done! Looking forward to the next column. We have had phenomenal feedback! Beth and I wanted to take a moment to thank you tremendously for taking the time out of your busy schedule to make a presentation at our Inspector's Expo last week! We know your time is valuable and we respect and honor the time you took to do this for our annual event that our Inspector's value every year. We have had phenomenal feedback already regarding the knowledge each of the attendees gained from your professionalism in the flooring industry so again we sincerely thank you for attending and making this year's Expo the best yet! Please don't hesitate to contact us should you have needs or concerns in the Inspection industry as we strive at FCITS to remain at the top of the list for certified inspectors and we value your input and knowledge as we work as a team in the flooring industry to strive for continual professionalism and growth in the industry. Our business could not be what it is today without the knowledge and support from the industry professionals like yourself. Again we want to thank you and we look forward to our ongoing relationship with you in the Inspection industry. Lisbeth Your Information Is Invaluable! Lisbeth, just wanted you to know I will be retiring next week.. I have so enjoyed our sessions with you and have learned so very much. Thanks for your time and energy spent to help build this team...It was invaluable! Thank you for your inspiring messages! Mamre Floor's website has been a great success due to the work that was done by Lisbeth Calandrino. Web content has been well received and Lisbeth has great knowledge in customizing the content specifically for our needs. Lisbeth is a wonderful person to work with and she exceeded our expectations. Thank you. Lisbeth Made The Night Interesting, On-Target And Fun. Lisbeth gave an 1-1/2 hour presentation that was, the best we ever had. Yes, our ladies listened to her every word, along with anticipation of the next. She ended most statements as open ended, that forced questions, feedback in an open controlled forum that was interesting to all that attended. I knew that Lisbeth was knowledgeable, but since I have never heard her speak, I was unaware of her talent in public speaking. By working the room prior to her presentation, she was able to bring personal background knowledge of the audience into her presentation. That made the night more interesting, on-target and fun. I am confident that we will sign orders because of this event. My sales staff already has appointments as follow ups, because of the fantastic job you did for us. . Keep up the good work. Lisbeth is thoroughly committed to teaching the student and the total system of product knowledge and sale skills. I am grateful for having attended her class. Thanks so much. Lisbeth is enthusiastic and passionate about the flooring industry. She is on top of the trends and is fantastic with people. Lisbeth, I attending the Crossville training this past week. I wanted to tell you I really enjoyed your presentation, energy and attitude. Every New Yorker I have met seems like they go 186 miles an hour. Always fun! I will brainstorm with my staff this week and we will get some events moving forward. After you read Red Hot Customer Service keep it nearby just as you would a Dictionary or Thesaurus. It is the perfect reference book to help run your business. We were fortunate to have Lisbeth at our store consulting for several days 2 years ago and we love her! She is so full of energy, excitement and knowledge that there isn't enough time in the day to get all you can from her. We were familiar with her discussion and the session went well. She can utilized 45 minutes to touch base on so many things and give so many suggestions in a short period of time. She touched on alot of items and all could be capatalized on. It was a benefit for an attendee to walk away implementing just one suggestion they maybe aren't already doing. We appreciated Mohawk offering the session and it will definitely be replayed for anyone on our staff who could not be in attendance. I wanted to sincere thank you again for providing the BEST Communications training to our office. The training was extremely helpful and relevant for our staff and the work we do. Even today, we were still having conversations regarding how we can apply what we learned to our everyday work. I have cc’d our Executive Director, Mr. Tobin, so that you have his contact information as you requested. It was an absolute pleasure meeting you and I look forward to keeping in touch with you in the future. Thank you! I thanked Jason when I returned to work for the opportunity to attend your training. I got so very much out it. Beyond the information; which I began to utilize immediately, the inspiration was just the shot in arm I desperately needed. I have a renewed spirit and a better attitude towards my position there at Delairs. It was such a pleasure to meet you- I hope we become fast friends. The speaker, Lisbeth Calandrino, was amazing! I only feel bad that the other two groups did not have the opportunity to spend the full day with her. I can honestly say - best training I have ever been to and I took away pages of notes. Yes, are you in shock, LOL! - I honestly took several pages of notes. Thank you so much for all of your ideas! Thank you so much for all of your ideas during the “Selling in the Showroom Program,” at Crossville. Your personality and enthusiasm held everyone’s attention. I’ve shared your ideas with the team here and we’re excited to start hosting more events. Hello Lisbeth, I thoroughly enjoyed your session and have brought back lots of ideas and notes. We plan on having an early January staff meeting to focus on enhancing our online image. As you suggested, I am writing down my ideas for blogs. You have added to my knowledge and inspired me to move forward. Again, it was a pleasure meeting you. Most Dynamic Force Available in the Industry Today! Lisbeth Calandrino is the most dynamic force available in the industry today. Her extensive experience and deep understanding of business allow her to immediate hone in on the best strategic solutions available to an organization. Combine that with a practical no-nonsense approach to identifying and understanding industry issues and you have solutions second-to-none, guaranteed to last and sure to be fully embraced by the organization working with her. Lisbeth is not for the faint-of-heart. She will pour heart and soul into developing solutions that address current and future market conditions, expecting you to be as committed to the process. If you’re passionate about your business and its long-term viability, you won’t think twice. Lisbeth, thank you for your key note addresses for the Arizona floor Covering Association.. Your interactive, thought-provoking delivery hit just he right notes with our audience of small business owners, distributors and manufacturers , Every time you address our group your presentations are new in content, extremely useful and fun to listen to. It's also great to get a view of our target female customer from a woman. A number of our board of directors commented they could have stayed all night and listened to you. Come back again.I have someone outside the industry doing one for me. Lisbeth, your seminar was out of this world. It was so worth getting up at 7 in the morning. I’ve ordered your book, signed up for your blog and the newsletter. Thanks for being so bubbly and giving us so much energy and info. Lisbeth Calandrino presents real-world advice to help us surmount real-world obstacles. Anyone who reads her book will be inspired to better themselves, just by taking a few simple steps. First, make up your mind to change. Second, read Lisbeth’s book. Third, put her advice into practice. You’ll be glad you did. PS. I just read your jelly bean book. Loved it. I only wish I could hear you give these life lessons in front of a live audience. You do have a gift for inspiring people, and I’m grateful you share your wisdom and experience with the TU readers!!!! Thank you! You did a wonderful job once again! We all took some very important words of wisdom home from the conference again this year. Thanks again! Lisbeth, You Have Inspired Us!! Thank you so much for speaking at our event last night. What a wonderful, inspirational and motivating speaker you are!!!! We had 5 members of our company last night and we just could not stop speaking about your key points the whole ride home. You inspired us to make changes with our social media presence which is certainly lacking in many ways. Thank you again and keep us posted if you have any more speaking engagements in the area. Would love to see you again. You did a fabulous job provoking thoughts and challenging our team to improve themselves and build their business. Lisbeth has been a consistently contributing blogger to UPworld.com readership for several years now. With a focus on Customer Service, Satisfaction and Retention, she shares her positive outlook and encourages business owners to utilize networking, personal touches, updated technological advances and old-school neighborly, customer interaction to cultivate ongoing, long lasting relationships with consumers. If you don’t know Lisbeth Calandrino you should. Or would you rather your competitor scoop Lis up? This Capital Region treasure energizes any group she is invited to speak to. Lis carries the Red Hot Customer Service torch into every setting she is invited to. The Lisbeth torch lights up the room, every person in the room and can make your business better. A superb public speaker, an infectious motivator.. author, radio star and more.. I love your blog, “A Little Anger can be a Dangerous Thing”. I’m reading your book, Red Hot Customer Service and it’s awesome. Please let me know when the second one will be ready, I need another good read to help me with my business.